South Africa has eleven official languages - Afrikaans, English, Southern Ndebele, Northern Sotho, Sotho, Swati, Tsonga, Tswana, Venda, Xhosa and Zulu - all technically equal with other, although some are more widely spoken than others. Additionally there are eight other recognized but non-official languages (Fanagalo, Khoe, Lobedu, Nama, Northern Ndebele, Phuthi, San and South African Sign Language), and also significant populations in the country who speak other European (especially German, Greek and Portuguese), or South Asian (especially Gujarati, Hindi, Tamil and Telugu) languages. 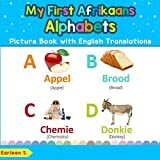 Welcome to this simple English to Afrikaans kids’ books for beginners. You will agree with me that it is always better to go from the known to the unknown. Therefore, in this book, you will learn about numbers, colors, shapes, days of the week, parts of the body and more in Afrikaans language. Learning Afrikaans language has never been so easy, just try this simple book out. Thanks for your interest in this small book. Now go ahead, get a copy for your kid! Enjoy. Did you ever want to teach your kids 1 to 100 Numbers in Afrikaans ? 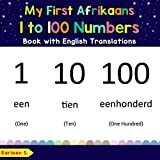 Learning Afrikaans can be fun with this numbers book. Absolutely new to Afrikaans? Don't know where to start? Welcome to Introduction to Afrikaans, Volume 1. Before you take that trip to South Africa, get a solid foundation of Afrikaans first! Master the basics of Afrikaans conversation the fun, fast. and easy way! 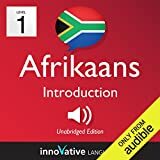 Try this audiobook and start speaking Afrikaans instantly! This easy-to-follow yet incredibly detailed 370-page book is the industry standard on accents and dialects of the English language. This is the updated, improved and perfect-bound 2012 edition, with photos. You get not only a proven system of instruction instead of mere voice mimicry, but an invaluable collection of 12 CDs. Paul Meier is a leading dialect coach for theatre and film, and contained in this impressive publication is his entire standard repertoire of the 24 most valuable accents and dialects for actors: Afrikaans (South Africa), American Deep South (Mississippi/Georgia/Alabama), American Southern (Kentucky/Tennessee), Australian, Cockney, Downeast New England, French, General American, German, Hampshire, Indian, Irish, Italian, Liverpool, New York, Northern Ireland, Russian, Scottish, South Boston, Spanish (Castilian & Colonial), Standard British English (Received Pronunciation), Welsh, Yiddish, and Yorkshire. Coaching many famous actors (Tobey Maguire, Tom Wilkinson, Mark Ruffalo, etc. ), Meier has also taught dialects at RADA, LAMDA, Webber-Douglas, the North Carolina School of the Arts, and other famous institutions. In addition to his user-friendly practice material, for each dialect Paul coaches you in two monologues (one male and one female) from a well-known play or film, and links you to the hundreds of online recordings of native speakers on his International Dialects of English Archive (IDEA). Further enhancing the value of the book are his interactive IPA phonetics charts, in addition to information on his unique show-specific dialect CDs for hundreds of plays and musicals, custom CD recording, and phone-coaching services. Easy enough for the beginner, rigorous enough for the experienced professional. It's easy to teach yourself Afrikaans! Complete Afrikaans with Two Audio CDs: A Teach Yourself Guide provides you with a clear and comprehensive approach to Afrikaans, so you can progress quickly from the basics to understanding, speaking, and writing Afrikaans with confidence. Did you ever want to teach your kids the basics of Afrikaans ? Learning Afrikaans can be fun with this picture book. 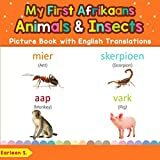 Did you ever want to teach your kids Animals & Insects in Afrikaans ? Afrikaans Animals & Insects Names. Colorful Pictures of Animals & Insects. English Animals & Insects Names. 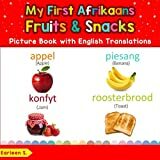 Did you ever want to teach your kids Fruits & Snacks in Afrikaans ? Afrikaans Fruits & Snacks Names. Colorful Pictures of Fruits & Snacks. English Fruits & Snacks Names. 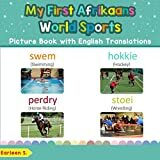 Did you ever want to teach your kids World Sports in Afrikaans ? Colorful Pictures of World Sports.